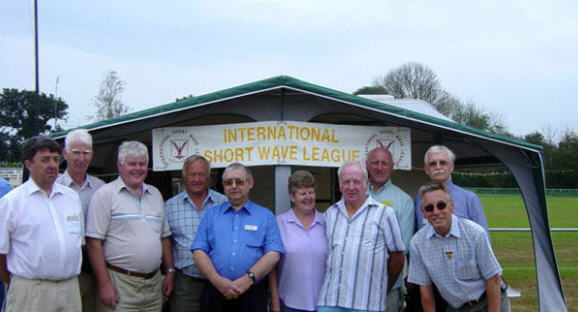 L to R: John G8XTJ (President), Bill G4AIE (Secretary), Cliff G4YHP (Treasurer & Monitor Editor), Phil G4DMS, Dennis M3JWJ, Stella M3LFO, Herbie G6XOU, Clive G4LSU (SW Mag. ), Arthur G0KOC (Council member), Pete G-13038 (Vice President). that so many ISWL Council members, were gathered together at the same rally.